There's a good news for fans of the Song of Ice and Fire book series. George R.R. 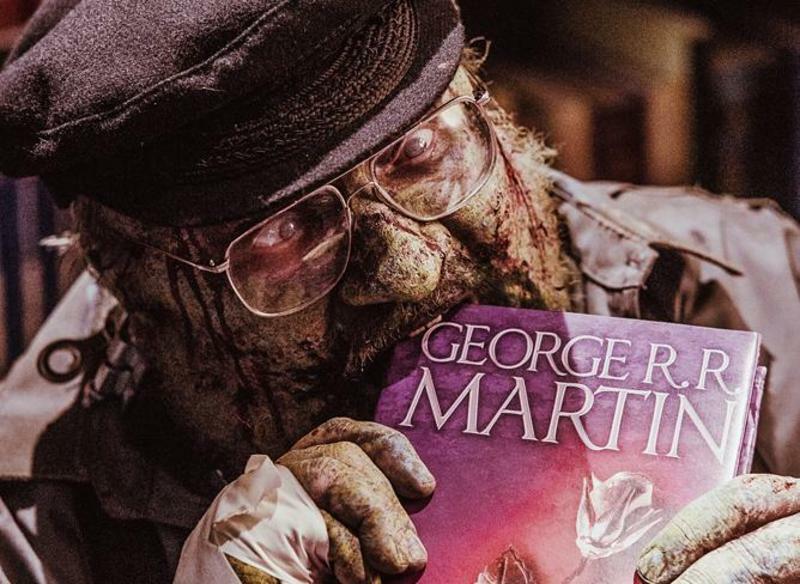 Martin has now made clear that nothing, not even a zombie apocalypse can stop him from completing the book series. 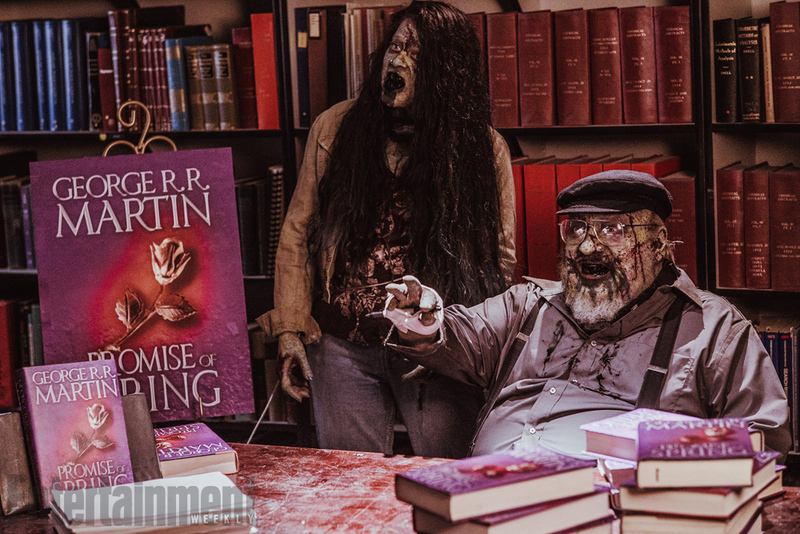 GRRM will play a cameo in the second season of Z nation, playing himself as a zombie. 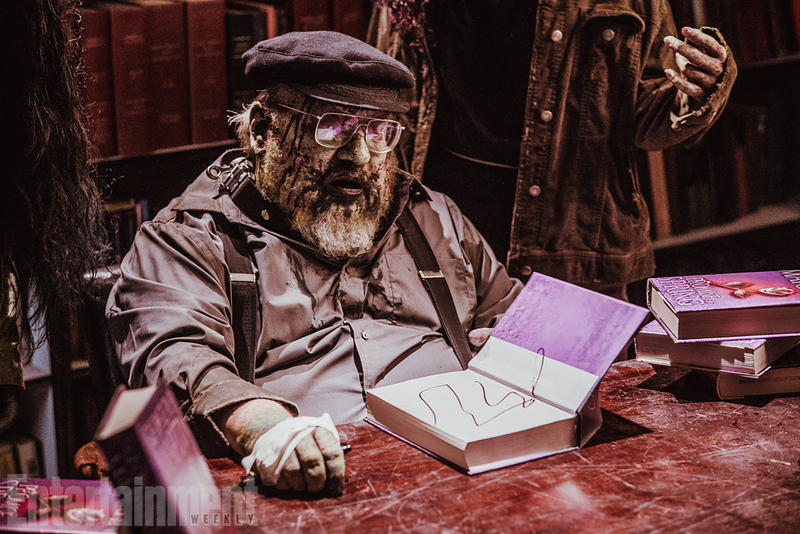 Entertainment Weekly has released pictures of the undead George doing a book signing for “A Promise of Spring” which is a funny take on his 7th book "A Dream of Spring". GRRM will be appearing in the 8th episode of the season which starts this Friday. Previously Martin had made an appearance in Syfy’s Sharknado 3, in which he met a violent end.